2015-02-24 But on the other hand spend a lot of money for some geek tools. Port assignments between ATmega328P and ATtiny85 is different. 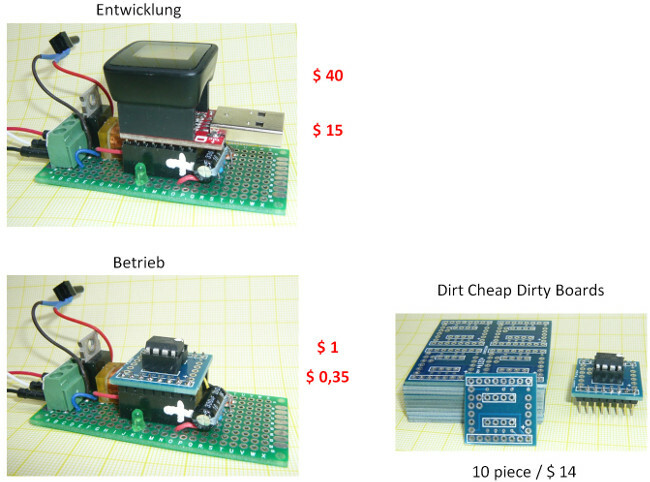 So there have to be two different source codes for MicroView and ATtiny85. At least, where the pins are defined. This map shows the port assignments. 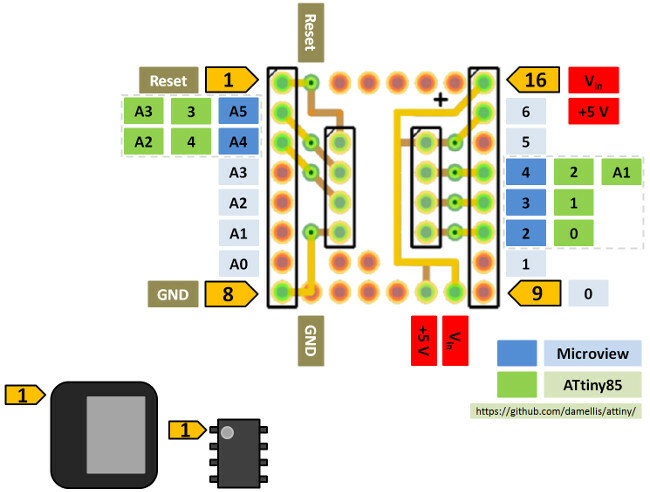 Programming of the ATtiny85 has to be done the conventional way. I use the very smart and nice Tiny Loadr Shield (discontinued and replaced by the TinyLoadr AVR programming Shield which is not a shield and overkill). Port mappings can be automated by using conditional defines.